There are plenty of challenges that come along with putting together a web development project. Things, like deciding how the user interface is going to look, and figuring out which features are most important to users and what you’ll build first are tough decisions to make. But one of the most difficult choices that plague most web developers is which database system to rely on. Options like MySQL, MSSQL, MongoDB, and PostgreSQL all offer unique features. Choosing the wrong database can cost you time getting started, or even worse, can cripple your project before it’s finished growing. 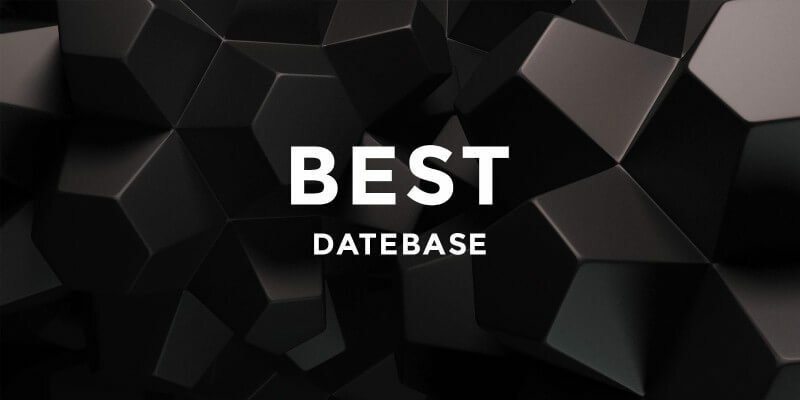 That’s why it’s important to consider the strengths and weaknesses of each database option before deciding which to rely on for your next web development project. Sit down with your development team and think about all the characteristics of your web project. Consider if and how user authentication is going to work, think about how the database will be structured and how large it could grow in size. Consider possible features you’d like to add in the future. By defining the project as specifically as possible you’ll speed up production and have a simpler time deciding on the right database option for you. When you’re tackling a simple project that you want to run fast and that doesn’t require the full SQL stack, your best option is likely MySQL. MySQL is a powerful database system that’s widely supported and widely used in popular web apps like Wordpress. Not only that but it comes with excellent third-party support and it’s known for being simple to get started with while offering a complex set of tools. Because MySQL cuts out some of the SQL tools and standards that are included in a full version such as PostgreSQL it’s a faster solution when you don’t need special features like concurrent read and write operations. The language is also highly secure and can be trusted with sensitive data like transaction information from a web store. If you’re building a project that has to be structured to fit some advanced data type like an array the simplest solution is to rely on MongoDB. It’s a JSON-based database that excels at dynamic structuring, meaning you can build it without defining the structure of the data initially. It’s simple to load in advanced datatypes, and the database is full-features and scalable across multiple systems for projects that need to be quite large. MongoDB is one of the best large-scale project databases as long as complex transactions aren’t necessary, like what is needed in bookkeeping software. While MySQL is lightweight and MongoDB is lightning fast to get started with, PostgreSQL is more full featured than either of them, but quite a bit more work to get going. It has to be carefully structured, but once it’s set up, it’s one of the most reliable solutions available today. It supports complex transactions like MySQL, it can handle scaling like MongoDB and it supports (ACID) for advanced functionality with multiple transactions, something that you can’t get with MongoDB or MySQL. PostgreSQL is the ideal solution when you’re building a massive database and you need everything at your disposal. It’s also good to work with if you might have to transfer to another database type like Oracle in the future. That being said, it shouldn’t be your first choice unless you know you’ll need those advanced features because it’s time-consuming to implement and generally slower when used for small database projects than MySQL is. Microsoft Mysql or MSSql is a commercial solution that’s designed for use in projects for major corporations. It integrates seamlessly into the Microsoft environment and will communicate well with most Microsoft solutions, but that’s really all it’s good for. This software is full of features that can’t be found on the more pared down MySQL or even PostgreSQL, but those features come at a cost. They only function well in a Windows environment, and most of the exclusive features come with a paid license version of the software, not the free version. If you’re developing a Windows-based web application that has to work with a large corporation, your best option is likely MSSql, but if you’re using non-windows software, or building a more lightweight program you’ll want a different solution. While it’s common to want to pick and choose one database type over another, many companies end up using multiple databases for a single product. Custom eCommerce websites are a good example of that. Both MongoDB and MySQL may be used together for such a product. The product catalogue itself would work better in MongoDB because of the dynamic structuring and improved text handling, but the transaction system can be processed better by the relational MySQL database. It only takes a few minutes to decide which option is right for your project after you know exactly what you plan on building. If you’re willing to take the time to define your web application carefully you won’t have to work hard to choose the ideal database for your project, as long as you consider each of the benefits and drawbacks of the options above. Unfortunately, sometimes the scope of your project isn’t always clear. In these situations, consulting with a web site development company would be a wise decision. UKIE WEB is an interactive web design and development company who works with individuals and businesses in Ohio and around the world.